Summer is in full swing. Time to make some frozen treats to beat the heat. 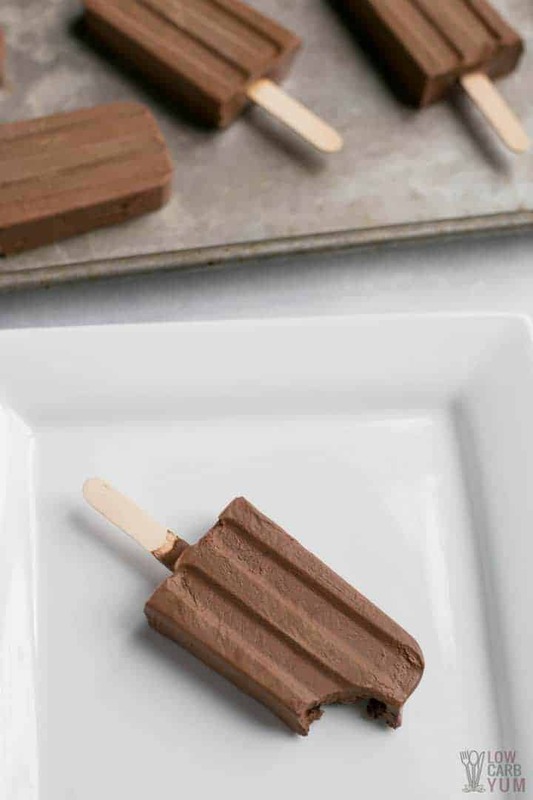 Here’s how to make sugar free fudgesicles that taste great but only have 5 grams of net carbs. Summer is in full swing. And although the first days of it have been relatively mild, I know it’s about to get very hot soon. Although I can eat ice cream any time of year, obviously, to beat the heat, now is the best time of year to eat it. 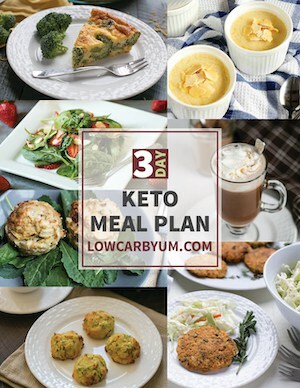 I have lots of low carb frozen dessert recipes. There’s even one for ice cream bars. 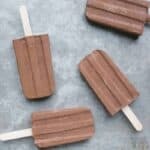 But I thought it would be a fun to try making some popsicles that would be safe for those following a Keto, Paleo or dairy-free diet. The first thing you’ll need is the coconut cream. My recipe calls for about 13.5 ounces, which is the equivalent of about one can. Pour a can of the coconut cream into a medium sauce pan. (photo 1) Don’t worry if it looks clumpy. This is just the natural settling of the cream. You’re about to mix it anyway. Keep in mind that I prefer to make my own almond milk. Store-purchased almond milk contains very little almonds. In fact, it’s mostly just water with synthetic vitamins added. You can use another alternative milk like cashew. Or, if you love a rich, coconutty taste, you can use coconut milk. 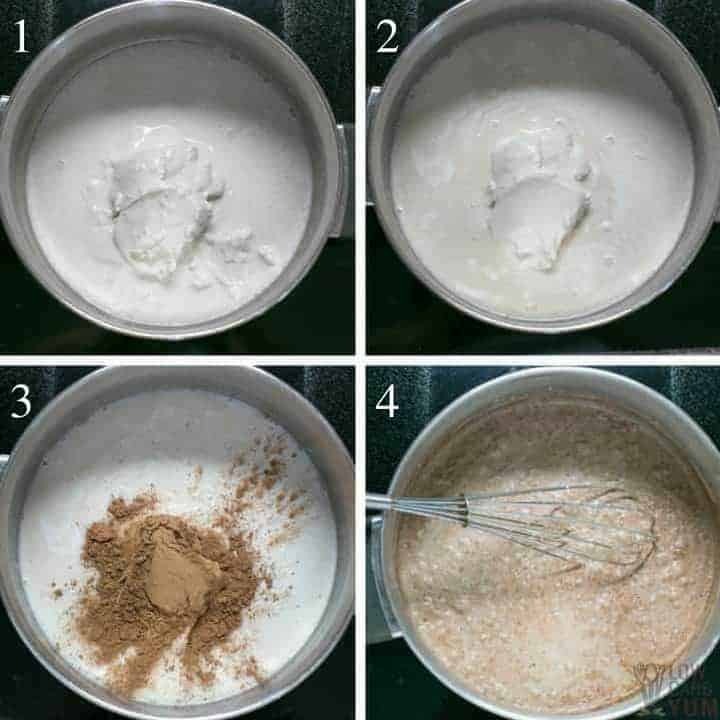 Heat the coconut cream, alternative milk and cacao powder over medium heat until hot while whisking occasionally. 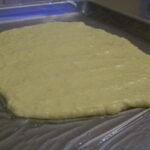 (photo 4) Don’t wait until the ingredients start bubbling as when this occurs, some of the nutritional value gets lost. Next, add some unsweetened baking chocolate. (photo 5) This no-added sugar baking chocolate is a staple of many of my desserts. 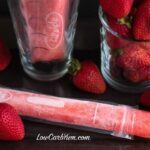 Along with it and the natural sugar substitute, this is how I keep my desserts like these sugar free fudgesicles low carb. Keep whisking until the chocolate is melted. 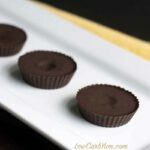 (photo 6) I usually find it only takes a couple minutes or so until the chocolate has a nice liquid consistency. Next, remove the sauce pan from the heat. Add in the sweetener drops. (photo 7) I prefer liquid vanilla stevia as it’s readily available on Amazon or in my local market. Some people prefer Monk Fruit extract as it doesn’t have an intense sweetness and metallic aftertaste. However, Monk Fruit is much more expensive. 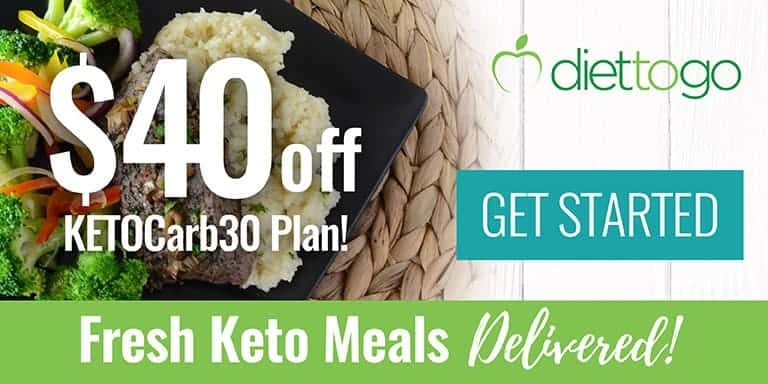 For extra natural sweetness that won’t spike your blood sugar or push you out of ketosis, you can also add powdered erythritol, which is a sugar alcohol that doesn’t add to your total net carb count. Just make sure if you use this powder, it’s non-GMO. 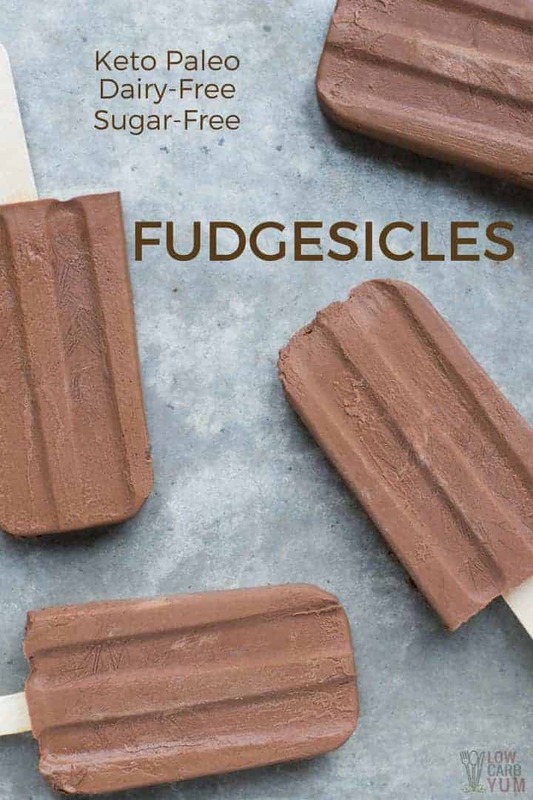 It’s not an everyday ingredient I use, however, for these sugar free fudgesicles, I do recommend it. And there’s only 2 tablespoons of it, so you’re not overpowering the other ingredients by adding it. Now you’re ready to pour the mixture into molds. 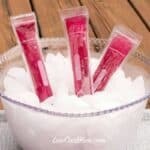 (photo 8) Don’t have popsicle molds? You can order them on Amazon right here. The popsicle molds have includes a brush for easy clean up. After you’re done placing the mix in the molds, do a workout for half an hour. Go for a walk, do a mini-yoga session or, if you’re wiped out, try some deep breathing exercises or light stretching. When the half-hour is up (set a timer), take out the sugar free fugdgesicles. But don’t eat them quite yet. Before you do, they need sticks! A good mold set will include sticks. You can easily wash and reuse them after you’re done. 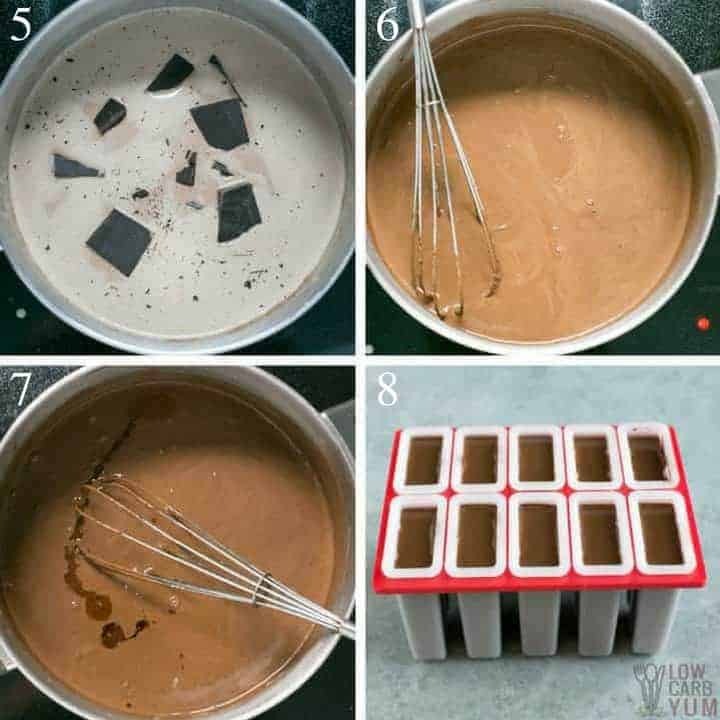 After you’ve placed the sticks into the fudge, place the molds back in the freezer until they’re frozen. Finally, after they are frozen, take them out and allow them to thaw for a little while. I find that about five minutes or so is perfect. But, you can speed it up by placing the molds in some warm water. The ingredients in my sugar free fudgesicles recipe will yield about 10 treats. If you have a summer birthday party coming up, it’s the perfect healthy dessert. 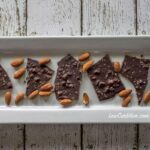 Your guests might not know (or frankly even care) that these sugar-free treats are actually quite nutritious, containing an impressive amount of iron from the baking chocolate and cacao powder. Moreover, they might not care about the high amount of potassium and fiber. You can keep these nutrition facts to yourself. But chances are, your friends and guests will be very impressed by how amazing this perfect summertime dessert tastes. 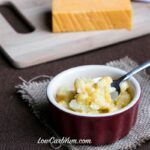 My husband and three kids were my guinea pigs for this low carb dessert. 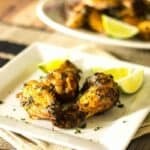 And judging by their reaction, this recipe is a winner. If you have young kids, they will have loads of fun helping you make the popsicles. 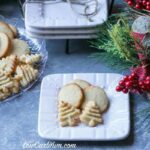 Enjoy this almost guiltless treat! Beat the heat with some frozen treats. 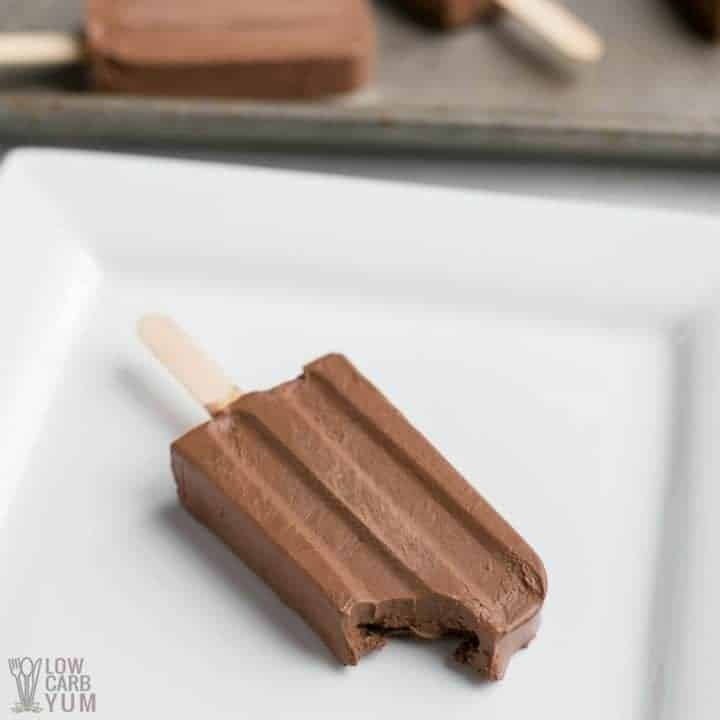 Here's how to make keto friendly low carb fudgesicles that taste great but only have 5 grams of net carbs. And, they are dairy-free! Heat coconut cream, almond milk, and cocao powder in medium sauce pan over medium low heat until hot. Whisk in the baking chocolate until completely melted. 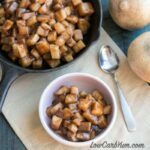 Remove from heat and add in the sweetener drops and vanilla extract. Add powdered sweetener if needed to taste. Pour into popsicle molds and place in freezer for 30 minutes. Add popsicle sticks and continue to freeze until set. Remove from molds and allow to thaw slightly before serving as they will freeze very hard. 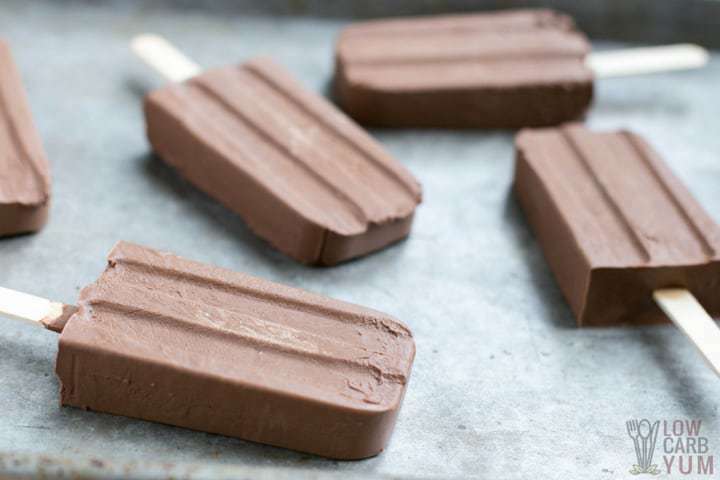 Allow the fudgesicles to freeze for about 30 minutes before placing the sticks it. This helps position the sticks in the right spot without them sinking to the bottom. It's best to allow the fudgesicles to thaw slightly before trying to remove them from the molds. 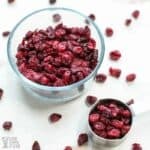 You can dip them in warm water for a short time to speed things up. Each fudge pop has about 5g Net Carbs.